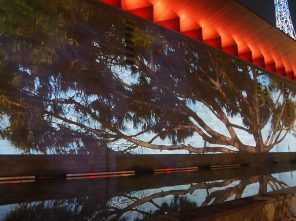 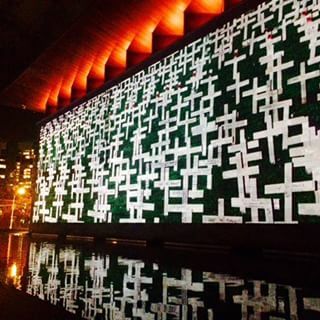 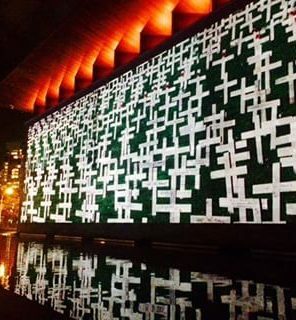 In the lead up to ANZAC Day, moving and powerful symbols of Anzac remembrance images illuminated by projections, was displayed onto the bluestone facade of NGV International on St Kilda Road. 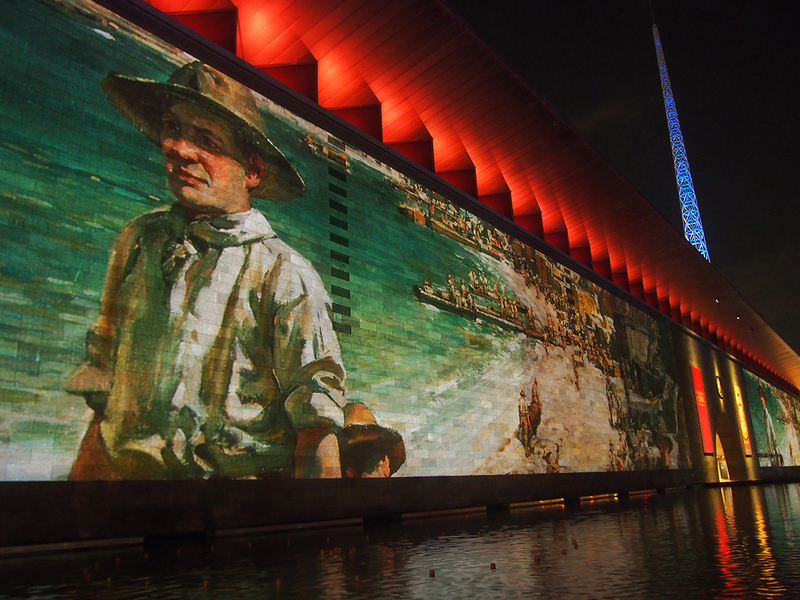 The projection show feature iconic Anzac and Gallipoli paintings and photographs. 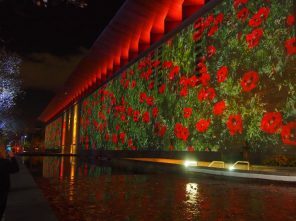 Paintings included official war artist George Lambert’s commissioned painting, Anzac, the landing 1915 which records the events at Gallipoli on the morning of 25 April 1915. 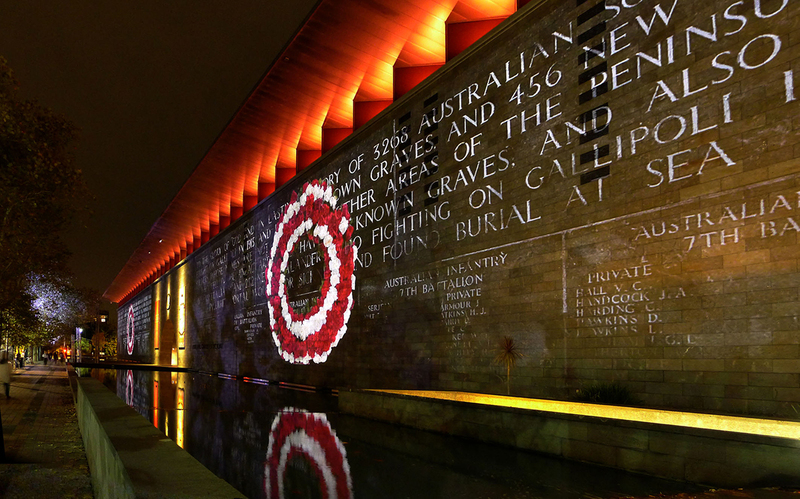 Lambert’s ANZAC Cove and Charge of the 3rd Light Horse Brigade at the Nek will also create a powerful reminder of the events at Gallipoli. Projection artist Ian de Gruchy was commissioned to create the show as a way of remembering the sacrifice and memory of those who served. 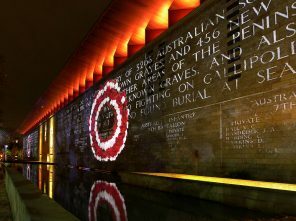 The moving show include de Gruchy’s own photographs taken during his visit to Anzac Cove, local honour walls and memorials.